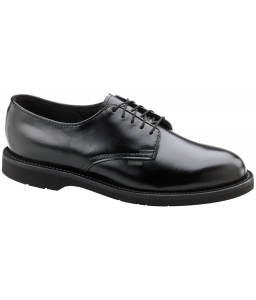 Thorogood Women's Classic Leather Oxford | 500044, THOROGOOD, Thorogood Women's Classic Leather Oxford | McDonald Uniforms, Inc.
High-shine leather pulls the whole uniform together! Traditional styling with added comfort features & a value price that makes this one great Oxford. Thorogood has been both a leading manufacturer and a pioneering force in American Footwear Industry for over 100 years. Thorogood's dedication to craftsmanship, expertise, and innovations continues today, as seen in Thorogood shoes and boots, it's a philosophy proven to be working over time.